Most of us like hand-made drawings, colorful oil paintings and accurate pencils strokes of the sketches. But lots of people, unfortunately, can’t draw well enough to make something beautiful with their hands… This little apps solves the problem! 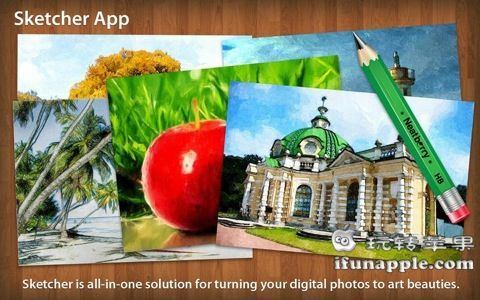 It can easily turn any digital photo into the pencil sketch, watercolor or oil drawing, it’s light, simple, cross-platform and feature rich!